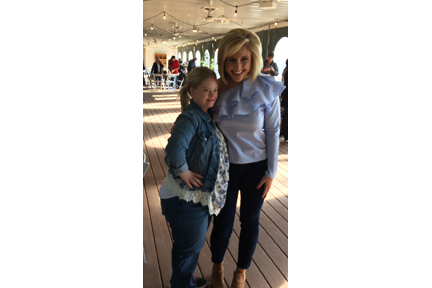 Great Day St. Louis–Live from Defiance! 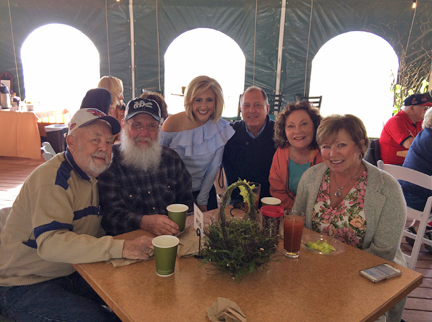 Home News Community Interest Great Day St. Louis–Live from Defiance! 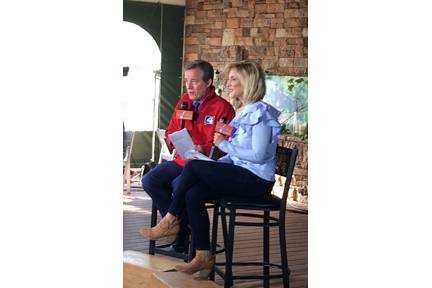 On Friday, April 20, Great Day St. Louis was broadcast live from Defiance Ridge Vineyards, capping off a week that had featured special segments highlighting a selection of Defiance and Augusta area businesses. Before and after the broadcast, KMOV personalities Laura Hettiger, Steve Harris, and Kent Ehrhardt mingled with the crowd, posed for pictures and signed autographs. 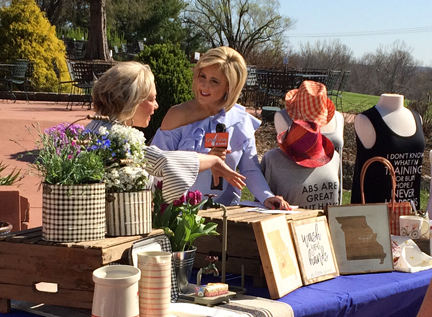 During the broadcast, special segments aired featuring Defiance Ridge Vineyard, Robin’s Nest on the Katy Trail, the upcoming brew fest at the historic Daniel Boone home, Halcyon Spa in Augusta, and the Augusta Plein Air Art Festival. 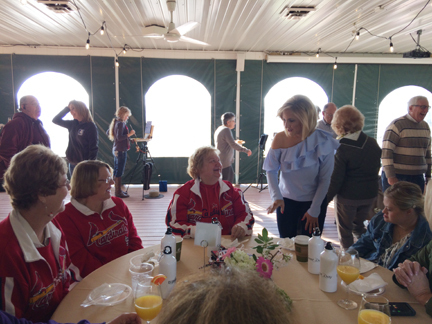 Over 50 people attended the event; which included a complimentary breakfast of bagels and beverages. It was a fun experience and a great promotion of our local wine country. 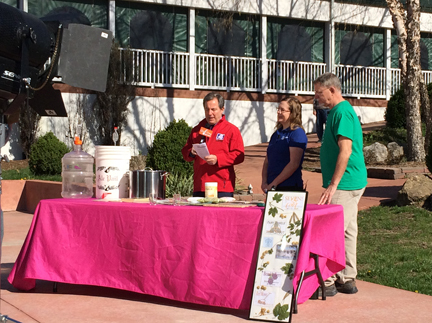 Laura Hettiger, Steve Harris and Kent Ehrhardt of KMOV St. Louis. 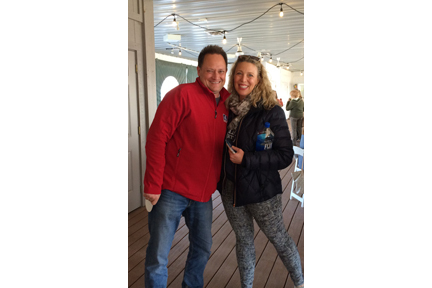 Augusta Plein Air Art Festival and owner of Halcyon Spa in Augusta. Jeff Comotto, Diane Raab and Chris Comotto. 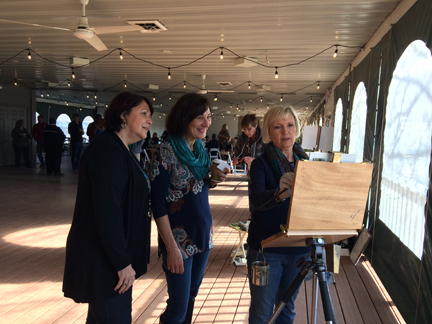 Laura Hettiger chats with (R-L) Wanda Howell, Pam Willembrink and Mary Keiser. 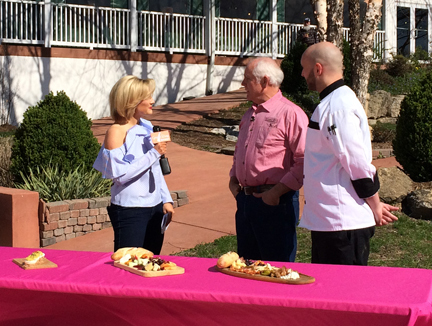 Laura interviews Chuck Gillentine and Chef Lucas Olson, Defiance Ridge Vineyards. Laura interviews Robin White - Robin’s Nest on the Katy Trail. a home brewer, about the Daniel Boone Brew Fest May 19.
one of several plein air artists who painted during the broadcast. 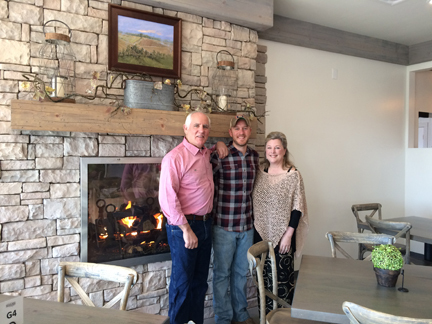 in the newly remodeled tasting room.